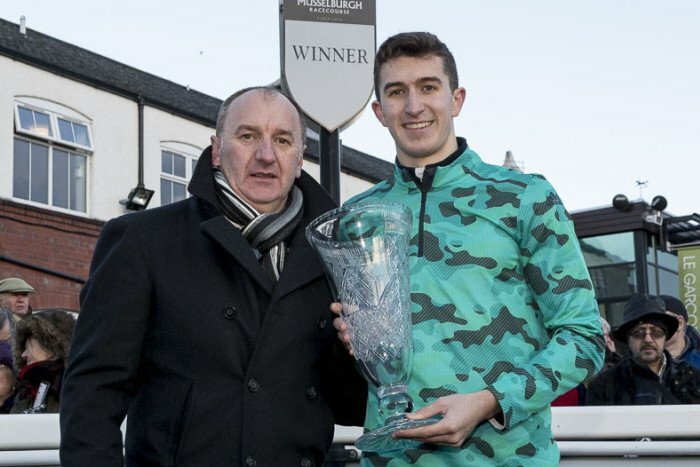 The all-important handicap marks for the 149th New Year Sprint have been issued by race promoter Frank Hanlon. Entries are slightly up from last year. Michael Olsen of Edinburgh AC has been handed the backmark and will run from a start of 1.5 metres. Defending champion Greg Kelly (East Kilbride AC, pictured above) will start from five metres along with another former winner Dylan Ali, Hawick. No fewer than 16 female athletes are in the in the line up headed by former finalist Stacey Downie (Edinburgh AC) who will go from the 18 metres mark and Eleanor Briggs (Inverness Harriers) from 18.5m. The race will be drawn into 10 heats with the backmarkers seeded. Full handicap list is online. 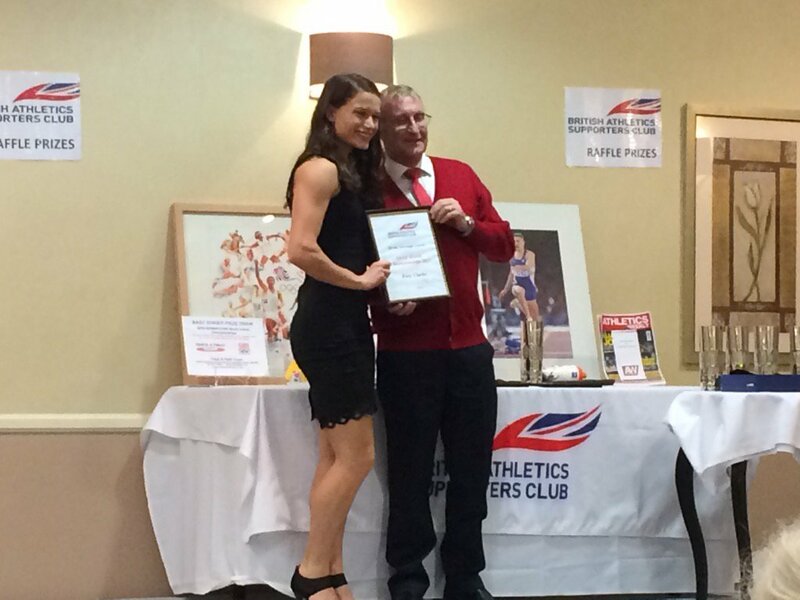 The British Athletics Supporters Club held their annual awards dinner last weekend – with Scottish 400m runner Zoey Clark picking up the British Breakthrough accolade. 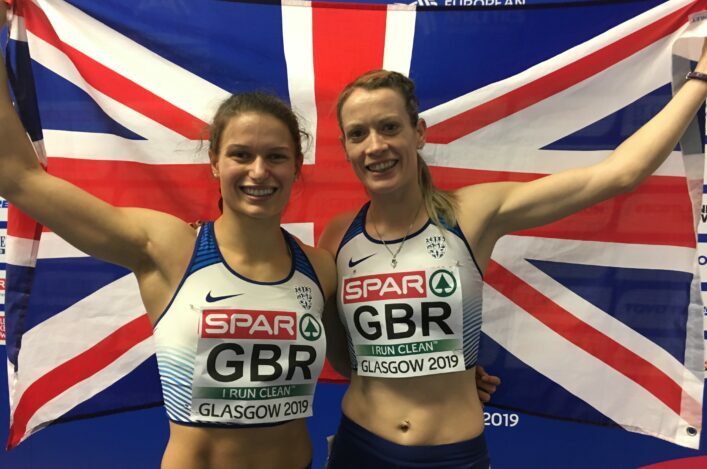 The BASC recognised Zoey’s fine 2017 which saw her significantly bring down her 400m PB as she won the British title in Birmingham, reached the semi-finals at the World Champs in London and then land a silver medal with the GB and NI 4 x 400m team. 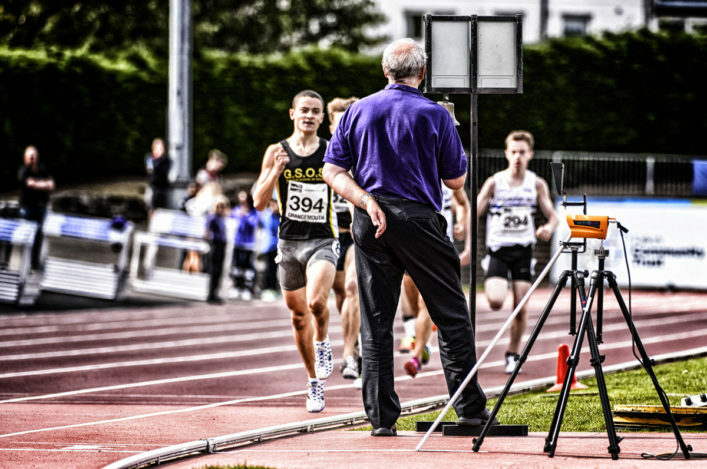 Earlier this month, Aberdeen AAC also presented Honorary Life Membership to the 400m runner at their annual awards evening. Zoey is pictured receiving her BASC award (photo via Twitter). Orkney-based ultra marathon runner, William Sichel (64) is in Norway for this weekend’s Bislett 24 Hour Indoor Challenge which runs from 10am local time on Saturday November 25 to Sunday 26. This well-established event has attracted a capacity 175 runners who will test themselves over the full 24 hours and amass as much distance as possible by running and walking the best they can. The 546-metre indoor lap is in fact underneath the famous Bislett Athletics Stadium in Oslo. Two years ago William covered 100 miles in 19 hours 56 minutes and achieved 114.82 miles in the 24 hours. He is looking to better these marks this time. 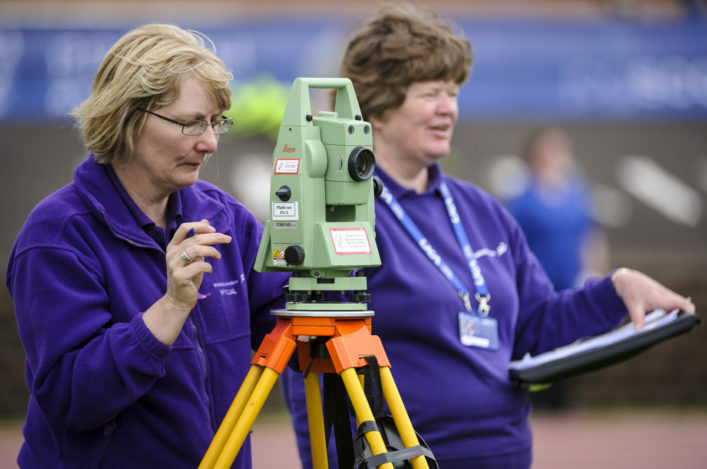 Early notice for athletes and coaches keen to be involved next summer in the Inter-Counties track and field championships – the venue is moving closer to Scotland! Bedford has been the traditional home for the UKCAU Inter Counties/Englandathletics Senior T&F Champs but in 2018 they will instead be held in Manchester. The dates are July 28/29.